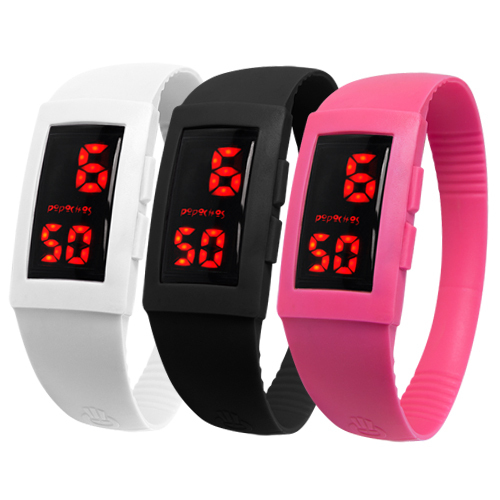 The LED screen will display time, date and minutes by pressing the side buttons. The screen will illuminate for 5 seconds and return to a black screen until you press the button again. 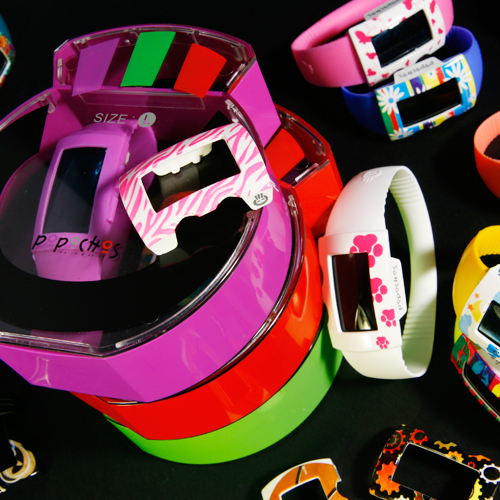 Choose your Popochos LED Watch Skin to make your watch different each day. 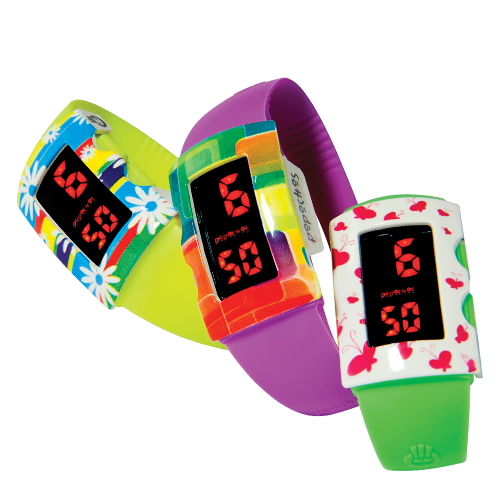 Watch skins are sold separately, but packaged together when purchased along with LED watch.